Between 1952 and the 1990s, there were over 71 attempted and successful military coups d’état in Africa . Depending on the country, coups can be common or very rare. A coup d’état is an “event in which existing regimes are suddenly and illegally displaced by the action of relatively small groups, in which members of the military, police, or security forces of the state play a key role, either on their own or in conjunction with a number of civil servants or politicians” . This arrangement is usually staged by a small armed group of people whose aim is to acquire control of the government office while minimizing casualties . What accounts for the discrepancy between countries that have experienced many coups or none at all? There are three main factors responsible for this difference: the institutional legacy of colonization, the power dynamics between the military and the elites, and the process of independence. First, whether a nation was colonized by the French or British can have a direct impact on the country’s welfare with regards to regime changes through coups. 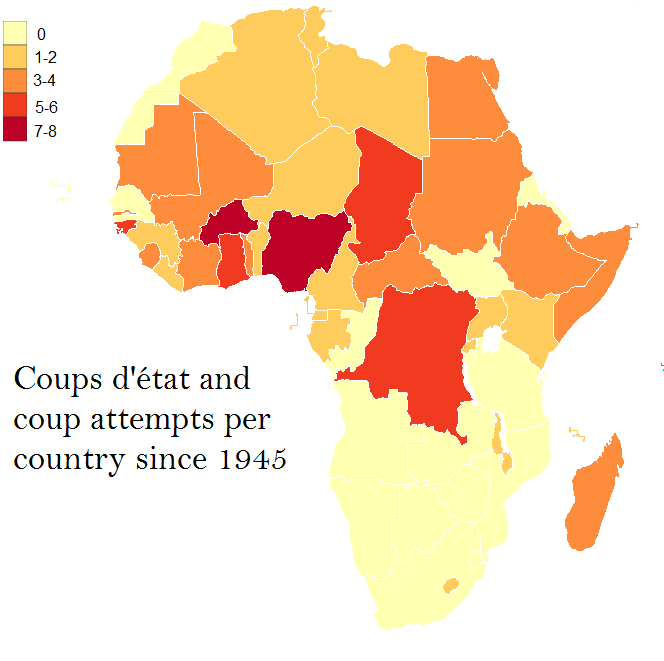 According to Johnson and McGowan, “The colonial experience of African states has been shown to have interacted with the main political-economic regions to produce distinct patterns of coup activity” . Out of the French-speaking states, mainly in Central and West Africa, 70% have undergone uprisings. The French used a direct type of colonial rule, which used policies of assimilation . On the other hand, the British and Portuguese states have been less prone to coups than the French. 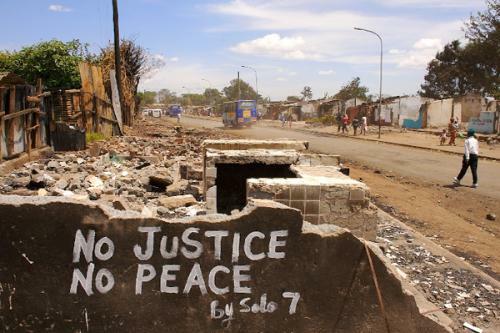 Although the English speaking states of the West, in addition to Sudan and Uganda, have had a history of rebellion, the English Southern African states have had very few revolts. Moreover, only 38% of all British states have had coups d’état. As opposed to the French, the British used an indirect type of colonial rule, which included giving power to indigenous rulers . Direct rule fostered more coups because it enforced French culture through language and education, and it promoted the replacement of African officials with French authorities. Therefore, when a French-colonized state became independent, it would have still been connected to the French culture, but as the French were no longer present to implement the rules, instability would take over. The second factor is the power relationship between the military and the elites. If the military holds substantial power and has a position within the decision making process in the state, then a state is more vulnerable to coups d’état . On the other hand, there appears to be fewer overthrown governments when elites hold more power than the military within the state. The third explanatory factor is the process of independence. There is a connection between the number of years a state has been independent and the number of coups d’état it has experienced . After independence, there is room for learning and improvement, but also the possibility for many mistakes to be made. The longer a country has been independent, the greater the time span within which the situation of unstable institutions can go awry due to economic downfalls, changes in power, or previous coups d’état. Hence, there was an increase in the number of attempted and successful coups that emerged in Africa , especially in countries that gained independence earlier. Kenya is a perfect example of an African country that has never had a successful coup d’état. 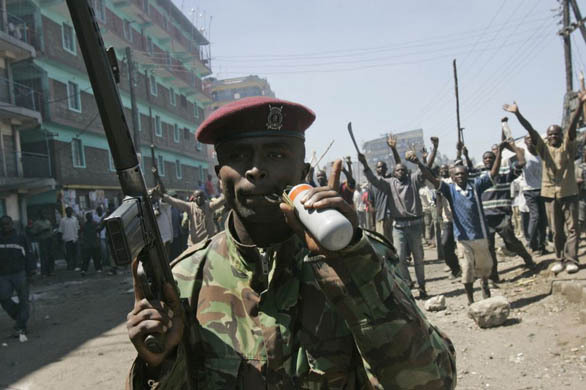 There are a few reasons why Kenya was able to maintain a low number of violent conflicts that led to a seizure of power. Primarily, Britain colonized the West, East, Central and South of Africa, including Kenya. As previously mentioned, countries that were colonized by the British have lower chances of encountering governments being overthrown. Second, the military was not politically involved in the state during the postcolonial era, whereas the elites had a larger role to play in government . Furthermore, Kenyan society revolved around a patron-client relationship that secured loyalty and social stability to the local, wealthy elites . As a result, “leaders visibly expand[ed] their coalitions through government appointments to discourage potential rivals from coordinating other elites against them. To be sure, a rational leader who is concerned with amassing power or wealth might prefer to build a minimum winning coalition by buying off only those politicians necessary to keep oneself in power” . Hence, a leader can decrease the chance of a threat to power by broadening the patronage coalition. The only time Kenya was under threat of a coup was back in 1982, when a group of junior airforce officers and troops gained control of the radio station in Nairobi, demanding that President Daniel Moi step down because they saw him to be a corrupt dictator. The attempt was unsuccessful and the local army and police managed to regain control of the situation . On the opposite side of the coup frequency spectrum is Burkina Faso: it is one of the most coup-prone countries in Africa . Formerly known as the Upper Volta, it was colonized by the French and gained independence in 1960, as part of the early wave of independence on the continent . The country is characterized by the fact that military radicals and populists have claimed their power and authority from the people rather than the army since “the military rank and file have been radicalized by their grievances against the hierarchy and have entered into alliance with other urban workers” . The most acknowledged coup in the country was in 1982 and closely followed by another in 1983. Following industrial unrest in 1982, Major Dr. Jean-Baptiste Ouédraogo ousted colonel Saye Zerbo and a few months later, Captain Sankara overthrew the Major Ouedraogo’s government and adopted radical left-wing policies . In this case, French colonization, early independence, and the clout of high-ranking military officials made Burkina Faso a stage for recurring coups d’état. There can be many reasons why a coup d’état occurs in a certain country – however, this article has focused on the processes of colonization and independence, as well as the power dynamic between the military and elites. These factors play an important role in the patterns of regime change in some African countries, which are more prone to coups d’état than others. Medani, Khalid. “State Militarism in Africa.” POLI 324 Class Lecture. McGill University, Montreal. 21 Oct. 2015. Lecture. Johnson, Thomas H., and Pat McGowan. “African Military Coups D’État and Underdevelopment: A Quantitative Historical Analysis.” The Journal of Modern African Studies J. Mod. Afr. Stud. 22.04 (1984): 633-66. Web. 4 Nov. 2015. O’Kane, Rosemary H. T. “Coups D’État in Africa: A Political Economy Approach.” Journal of Peace Research 30.3 (1993): 251-70. SAGE Publications. Web. 4 Nov. 2015. Ghazanjani, Mehri. “Theories of Development.” SOCI 254 Class Lecture. McGill University, Montreal. 16 Sept. 2015. Lecture. Henley, John S. “Book Review – Underdevelopment in Kenya: The Political Economy of Neo-Colonialism 1964-71.” Review. Administrative Science Quarterly 21.1 (1976): 173-78. JSTOR. Web. 4 Nov. 2015. Luckham, Robin. “The Military, Militarization and Democratization in Africa: A Survey of Literature and Issues.” African Studies Review 37.2 (1994): 13-75. Web. 4 Nov. 2015. Arriola, Leonardo R. “Patronage and Political Stability in Africa.” Comparative Political Studies 42.10 (2009): 1339-1362. SAGE Publications. Web. 4 Nov. 2015.